Are you as excited as I am about spring activities? Admittedly it’s been a warm winter this year, so we haven’t suffered too much cabin fever, but nonetheless, I am ready to get outside with the kids this spring! I don’t know about you, but I love heading to the library every couple of weeks and getting books that have to do with the seasons, activities we are involved, or something I want to teach my kids. I thought I would share with you today some of the books I have used in the past, as well as some books we are looking at now as we prepare for spring and all its glory. 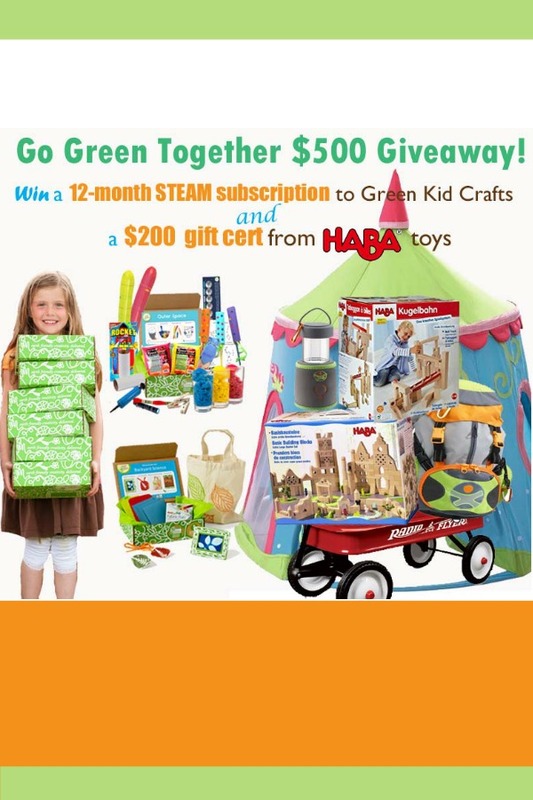 Get Outside with the Kids this Spring! Everyone has different ideas on what to do as the weather gets warmer. I’m pretty sure everyone can agree that we just want to get outside and feel the sun once again! My kids and I love to do all sorts of different activities when we go outside. Most of the time it involves dirt, but I don’t mind. I consider a dirty kid, a happy kid. And that’s alright by me! This book explains how important worms are to us. It shows what worms do to help plants grow in a way that kids can understand. The pictures are pretty neat too! This one is a trilogy of books written from the perspective of different bugs. This particular book is about worm. He writes a diary about his daily experiences. Although it is fiction, facts about worms are embedded. What I like about the books is that it is fun for the kids to read, and they are learning new things as the story unfolds. Each book introduces a friend who happens to be the narrator of the next story. This is a great non-fiction book to piggyback on Diary of a Worm. This story takes us through the life cycle of an earthworm. Kids will be intrigued and sure to ask questions about bugs and life cycles. Head outside and dig for worms! Either find them and leave them in the dirt, or collect them (imagine a container full of worms in your house…yikes…). After a rain, head outside and see all the worms that come out of the ground and onto the sidewalk. One of my favorite things to do with my kids is to go on a listening walk. I got the idea from the below book. We go on a walk, but we don’t talk any more than to share what we hear. My kids can get so descriptive when they want to be! To piggyback on our nature collections, I have gotten books about bees like this one. It tells about how bees impact our lives and our food. I’m not suggesting search for bees, but instead maybe have a snack with honey. This book explains to kids all about composting. What it is, how we do it, and what hand nature plays in breaking down all that trash! Kids will love to learn about how trash breaks down and what creatures aid the process. 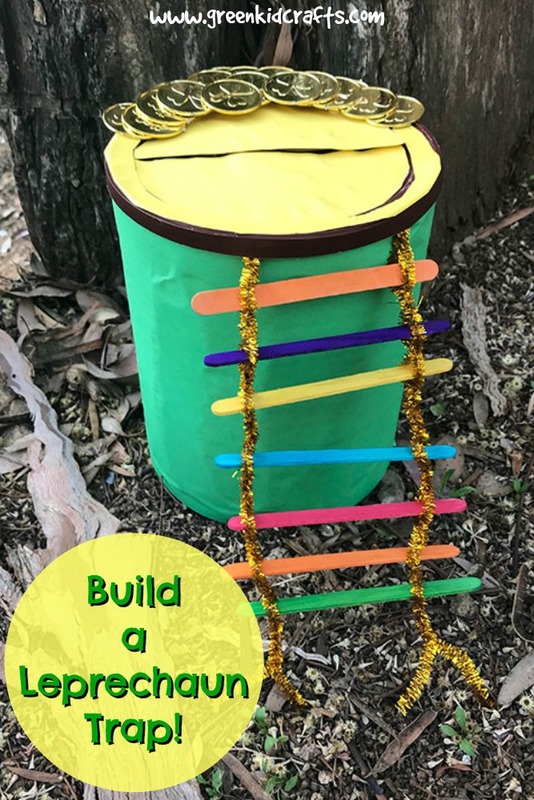 To go along with this book, and any other books about composting, work with your kids and make your own! Kids will be so interested in going outside and seeing if the compost is working! 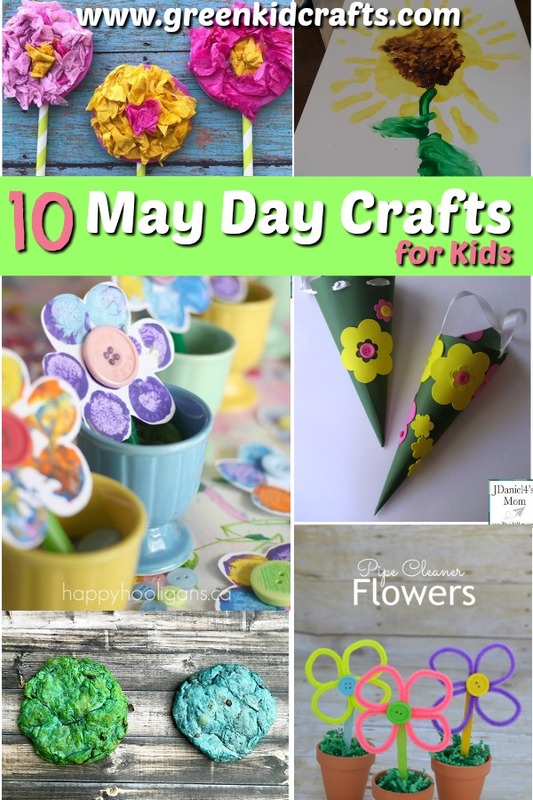 Here’s a post on how to make your own with little kids! 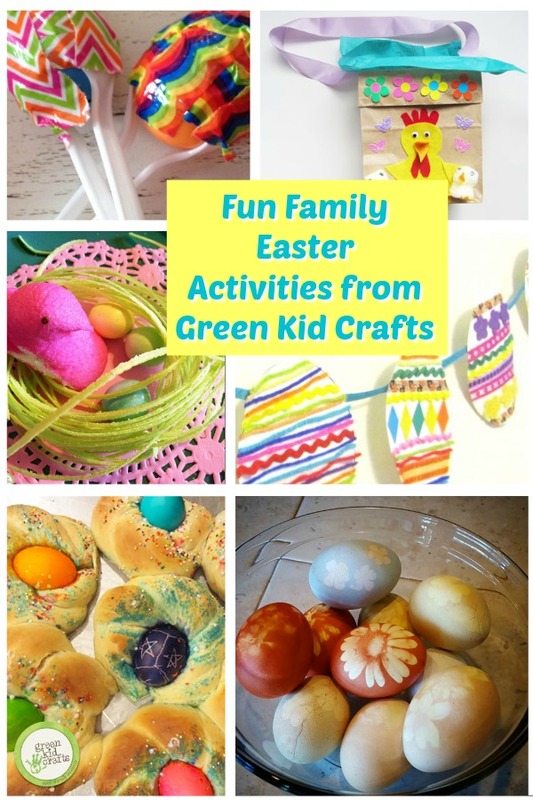 There are so many opportunities to get outside with the kids this spring. 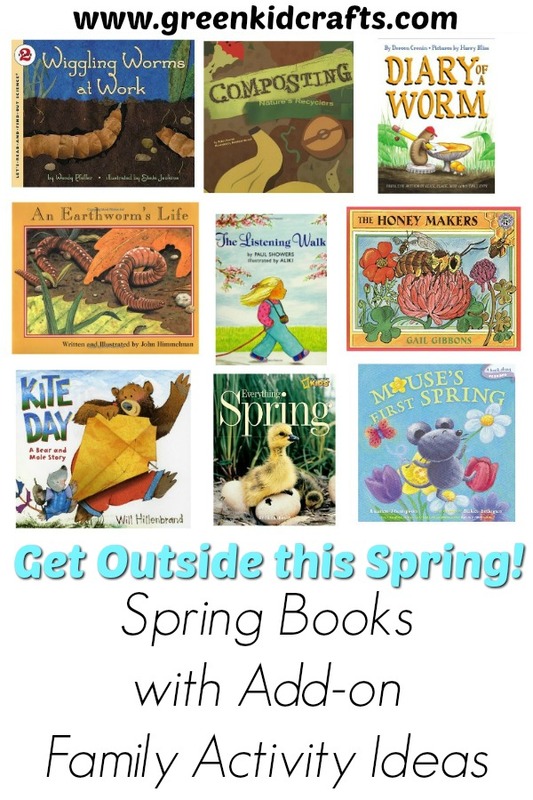 Another great activity is to read books about the spring season, what to expect, the animals and plants (and allergies maybe!). This is a cute story about a little mouse who is experiencing spring for the first time. The mouse encounters all sorts of things related to spring and is fascinated by it all. A non-fiction book about all things spring. Kids will want to head out on a nature hike to find some of the plants and animals mentioned. Head outside and play eye spy. Kids will have fun looking around for things in nature. Growing up, my family used to go on bike rides. I must admit that we don’t do this with my little family now. Partly because the trails aren’t the same where we live and partly because I don’t have a bike…that may be the main reason (and yes, I could just go buy one). We do however, get the kids bikes out and have the kids ride around our neighborhood. We will walk the dog, push the Peanut in her car, while Diesel and Rocket ride their bikes to nearby parks. It’s a nice time that unfortunately doesn’t happen as often as we would like. I have had this book for a long time. The kids, when I read it to them, ask me why the kid is out throwing papers. To which I explain that some kids used to deliver papers as a job. My children, nor I come to think of it, have experienced having a paperboy deliver the papers (we don’t even get a paper anymore). It’s a fun read to learn that some kids used to, and may still, be paperboys. Have your kids pretend to be paperboys (or girls). Then they can ride their bikes around pretending to throw papers to their neighbors. Another great story about a boy, a bike, and a paper route. Only this time George gets involved and he always spices things up! Heading outside and flying a kite is a great activity to get outside with the kids this spring. George heads out to fly a kite and runs into some creatures that are out and about. Warning! It is a long, but interesting, story. You may have to break it up for little ones. Bear and Mole want to head out on a windy day to fly a kite. They realize they need to build one first! They design, build, and finally take it out for a try. Build and fly a kite! Here’s a post I found on making kites with kids! 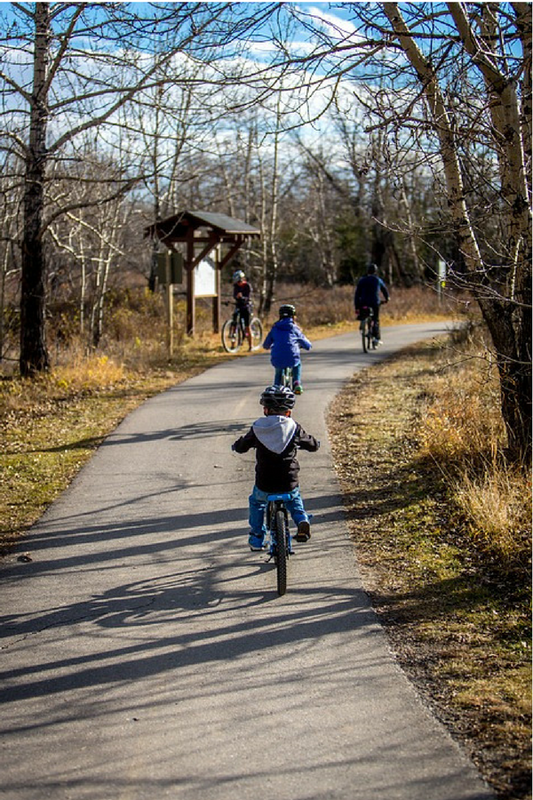 It doesn’t matter what you do as long as you get outside with the kids this spring. Enjoy the warmer weather, the flowers blooming, and sun shining. But do think about finding some books to add-on to your outdoor activities. Kids will be more interested in the stories if they can relate them to their lives, what they’re doing, and what’s happening around them. Most importantly though, have fun with your family! This is a guest post by Allison from The House that Lalli Built. Head on over and check out her blog! 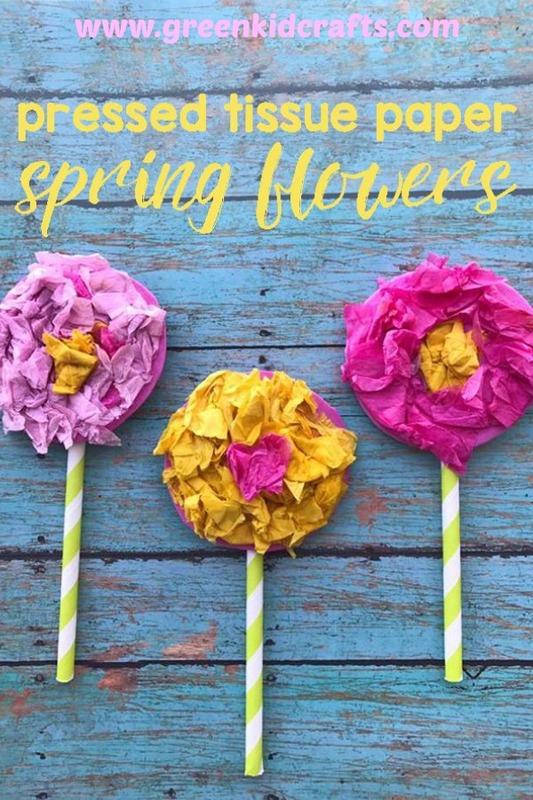 Older Decorate a DIY Easter Basket made from Egg Cartons!